Terasic - Terasic News Labs - News - EDA/SOPC Technology and Research Seminar’s Spectacular Result! Terasic News Labs News EDA/SOPC Technology and Research Seminar’s Spectacular Result! 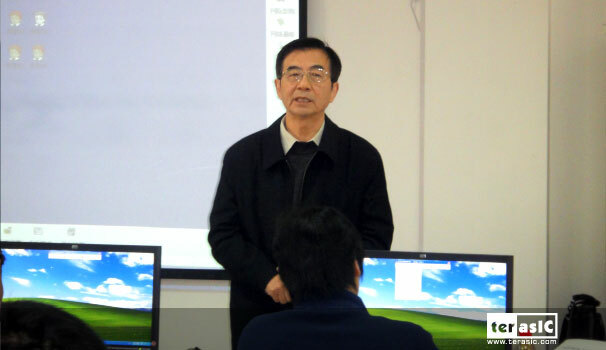 This year's "EDA/SOPC Technology and Research Seminar" held on November 19, 2011 and organized by Wuhan University's School of Electronic Information and Hubei EDA/SOPC Technology Research Association took off to a grand start! With the goal of raising the level of EDA/SOPC training, improving exchange of technological teaching experience, and promoting further development of research, senior research manager Rosaline Lin from Taiwan's Terasic Technologies was invited to this year's seminar to share her deep experience and laboratory applications in the field of digital television and IC design. 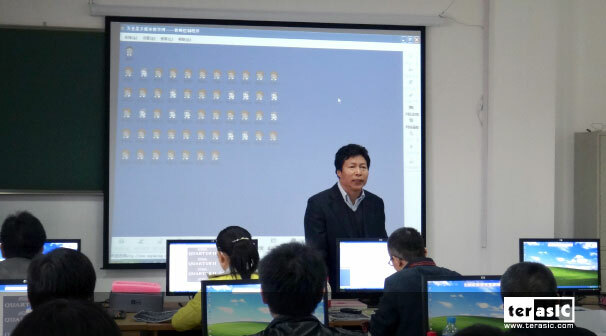 The seminar attracted seventy-two professors from thirty-one different universities to participate, hailing from cities such as Jiangsu, Henan, and Hunan. The seminar was hosted by Hubei EDA/SOPC Technology Research Association's executive manager/China University of Geosciences professor Guangjun Wang. Wuhan University's School of Electronic Information vice president and professor Deshi Li, Research Director / Wuhan University Professor Zhao Maotai, and Terasic Technologies' CEO Sean Peng also shared the outstanding results in the field of FPGA technology. 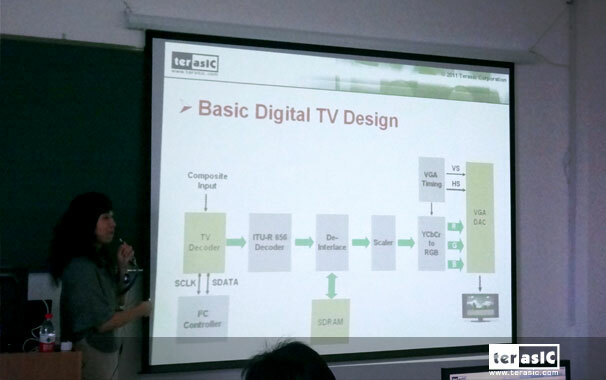 Ms. Lin proceeded to open the seminar on aspects of digital television design and IC design, along with detailed explanations paired with block diagrams to warm up for the afternoon laboratory session. The intriguing new content from the presentation resulted in unwavering attention from the audience. 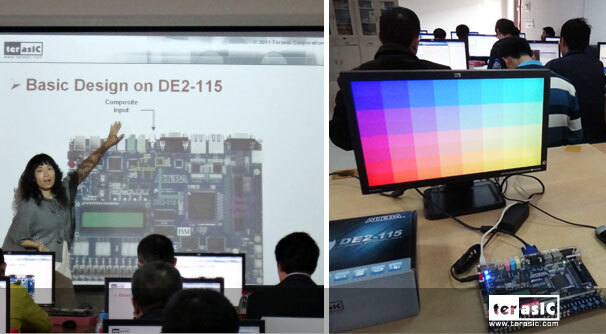 The afternoon hands-on curriculum was held in Wuhan University's Altera Joint Lab which featured 50 sets of the latest Terasic DE2-115 Development and Education Kits, perfect for design with digital TVs. The lab used was the second Joint Lab established by Altera in the university. 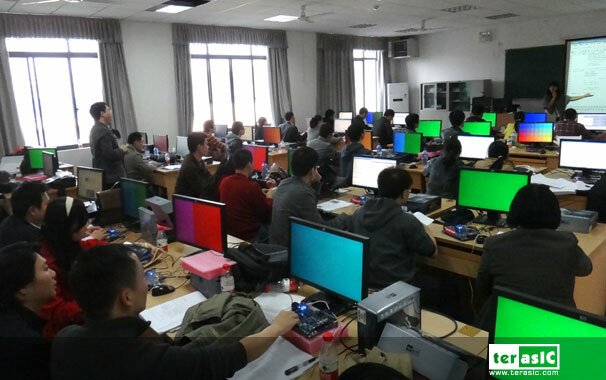 The course focused on the introduction of digital TV chip design and developing the DE2-115 to become a television box, and included detailed Verilog tutorials, Quartus II operation, and Terasic's Wuhan branch engineers even arrived to assist the professors. 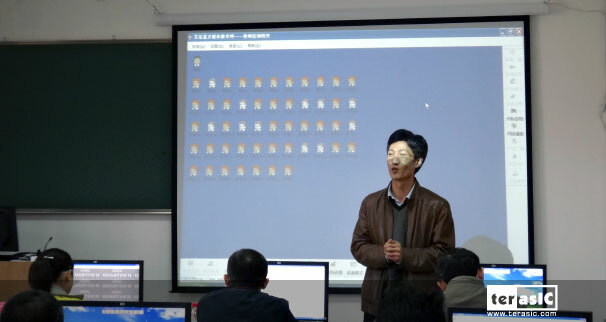 Every professor was meticulous and diligent while concentrating to the very end until completing the final goal of LCD control, which made the learning process fun along a sense of accomplishment. With the completion of the workshop, all the teachers concluded that they had benefited enormously; Not only did everyone gain hands-on experience, they also learned new design skills! 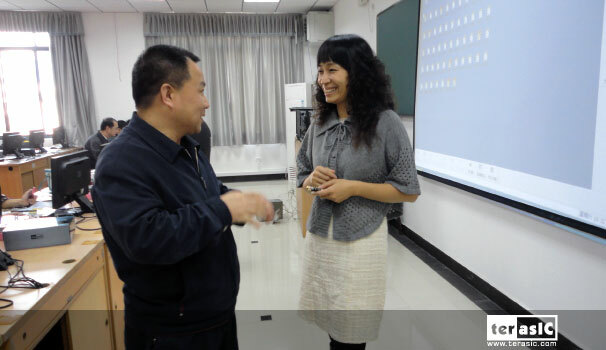 Every teacher expressed extreme gratitude to the Hubei EDA/SOPC Technology Research Association and Wuhan University, and was deeply impressed with the display from Rosaline Lin. We'll be sure not miss the next seminar, they said! China University of Geosciences professor Guangjun Wang hosts this year's seminar. welcomes the professors and informs of the upcoming EDA Competition. Director Zhao summarizes the Association's status and proposes a subsequent plan. Director Zhao also represents the Association in giving thanks to Terasic for its assistance and support for EDA/SOPC training. 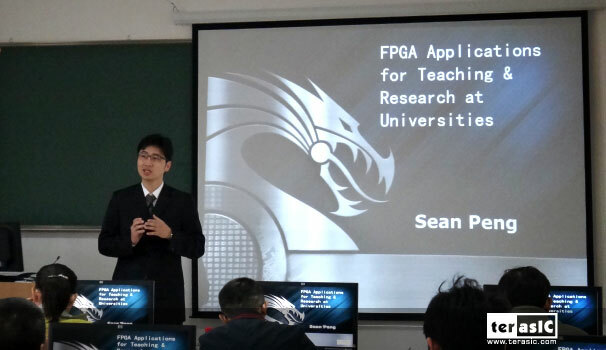 introduces "FPGA Applications for Teaching & Research at Universities"
and details the successes of FPGA education in top-tier foreign universities. 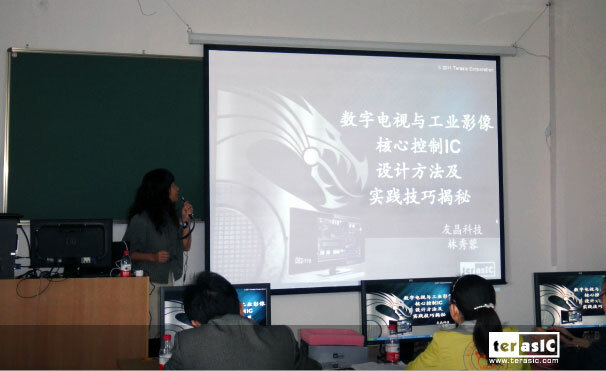 Terasic Technologies' Senior Research Manager Rosaline Lin shares her experience on digital television and IC design. Ms. Lin uses block diagrams and detailed explanations to system design. Ms. Lin explains digital television design on the DE2-115. 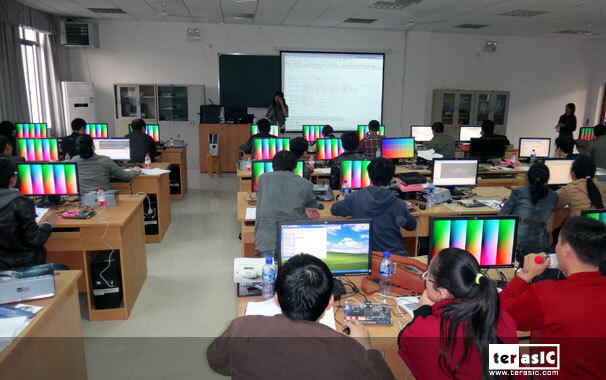 This year's seminar in Wuhan University of Technology featured Altera's Joint Laboratory with 50 of the latest DE2-115s and several DE4 Development Kits; this is Altera's second Joint Lab in Wuhan University. Professors are absorbed in Ms. Lin's original and enriching speech. During the afternoon session, teachers have a hands-on workshop with digital television design. Professors are meticulous and diligent. 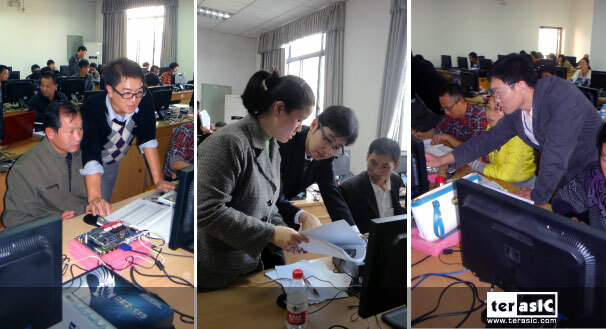 Terasic Wuhan R&D members guide and assist the professors. which made the learning process fun along a sense of accomplishment. Completion of the Seminar! Teachers expressed gratitude to Terasic, and especially Rosaline Lin, for a marvelous workshop!